The message is not a new one. Most recently, the 2016 Farmer Review contended offsite was a vital remedy to the problems of unmet housing need and the construction skills shortage. So are social landlords actively adopting modern methods of construction to help address the sector’s challenges? For the second year running, Inside Housing has partnered LHC on a survey to tease out some answers to that complicated question. Some 230 individuals have responded to the 2018 survey, drawn from housing associations, ALMOs, local authority and other relevant organisations such as consultancies and construction firms. The immediate conclusion is that active use of offsite construction remains something of a minority pursuit. Only 41% of respondents say their organisation either currently uses such methods or has previously done so. That said, the figures demonstrate a small uptick in those planning to use offsite construction for homes to be delivered within the next 12 months. In 2017, only 41% of respondents said they were planning to employ these construction methods in the coming year. Now, however, 43% of respondents plan to use offsite during the next 12 months. And asked about longer-term plans, our respondents indicate an expectation of greater use of offsite construction technologies such as volumetric, panellised and hybrid. 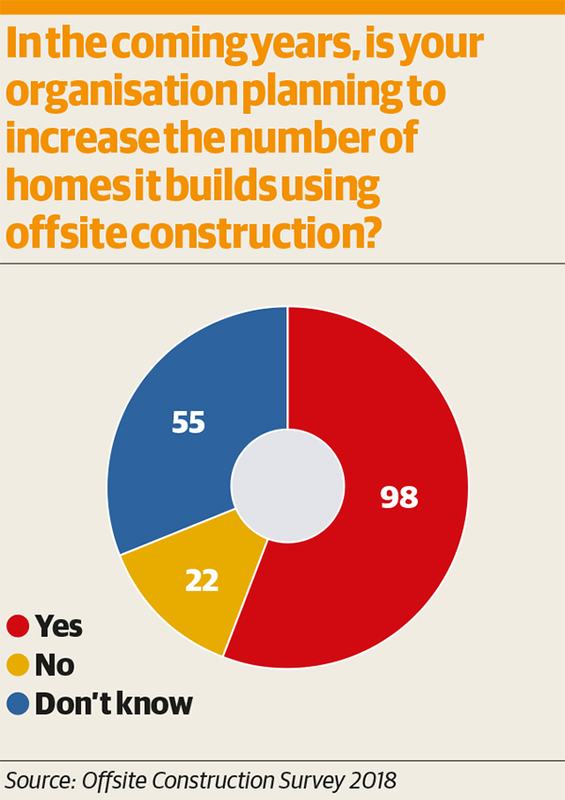 More than half – 56% – say their organisation is planning to increase the number of homes it builds using such methods in the coming years. There is a caveat, however. 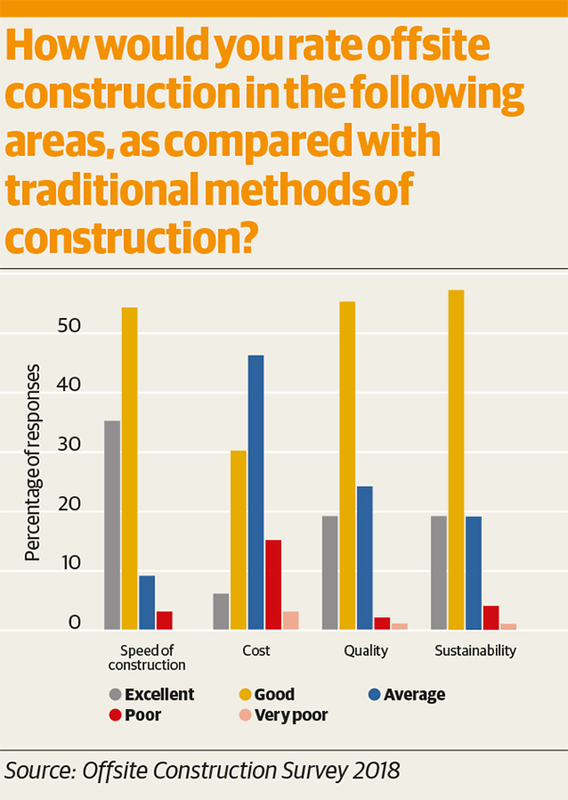 For the majority of respondents, any use of offsite construction will still be at relatively small scale. Most say their organisation will only employ offsite for 1% to 10% of homes delivered in the next 12 months. Such pronouncements do not come as a surprise to Tony Woods, technical manager at LHC. He says there is no doubt there has been “a general move” in the direction of offsite construction. He adds: “But the survey results imply to me that most people are still just dipping their toe in the market and looking at doing pilot studies without really committing. Our survey respondents have clearly indicated the areas in which reassurance is needed. 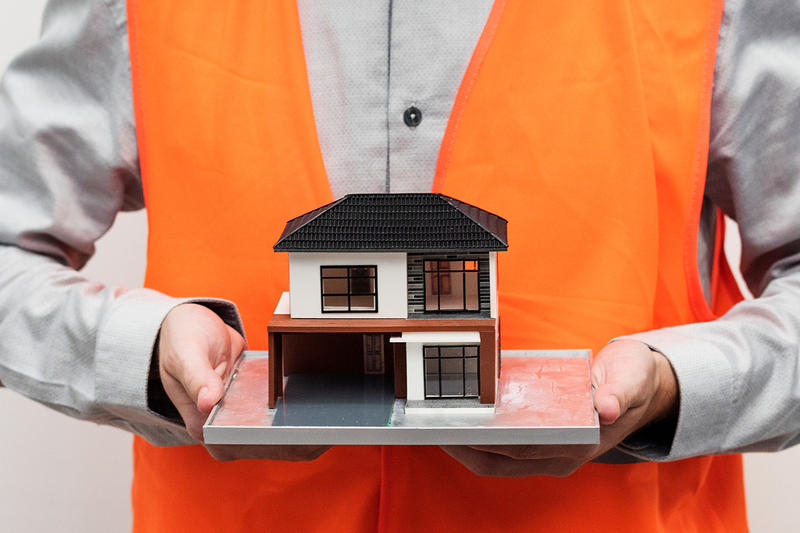 For instance, while one development professional at a housing association reports clear plans to use offsite to deliver homes, “it will be a small percentage of the total until we can be confident about quality, robustness and fire-proofing”. It is notable that 45% of our respondents say the primary reason their organisation is planning to increase offsite construction is to speed up delivery. But some fear the desperate need to start building homes is leading to a lack of focus on longer-term viability. Indeed, our survey results imply the speed argument has already convinced most. A striking 89% of those who answered our survey rate offsite as ‘excellent’ or ‘good’ on speed of construction when compared to more traditional methods. The verdict on cost benefits is more mixed, with only 6% considering offsite excellent on this metric, 30% considering it good and 46% average. It’s a comment which underscores the main concern many respondents highlight – the relative immaturity of the market and a lack of rationalisation. But this should not conceal an overall view that these methods of construction do offer a viable way forward for the sector. The chair of the organisation representing London’s largest housing associations is certainly convinced greater use of offsite is an inevitability.